Get Keter 6x4ft Factor Outdoor Plastic Garden Storage Shed (Beige) from Amazon.co.uk. 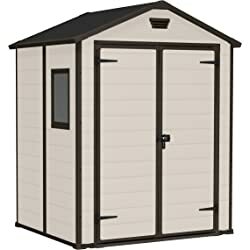 Get Yardmaster 6x4ft Metal Pent Shed (Silver) from Tesco Direct. Get Keter Store It Out Max Outdoor Plastic Garden Storage Shed (Beige/Brown) from Amazon.co.uk. 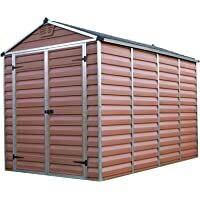 Get Yardmaster Metal 6 x 4ft Garden Storage Shed from Argos.co.uk. Super Hot! Get Palram SkyLight Shed 6x10ft Durable Storage (Amber) from Amazon.co.uk (via Garden Store Direct Limited). Super Hot! Price Drop! 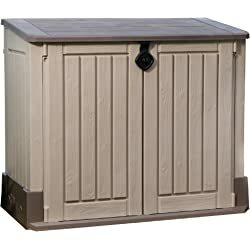 Get Keter Store It Out Midi Resin Outdoor Garden Storage Shed (Beige/Brown) from Amazon.co.uk. Get Keter Store It Out Midi Resin Outdoor Garden Storage Shed (Beige/Brown) from Amazon.co.uk. Get Keter Store It Out Max Plastic Outdoor Garden Storage Shed (Beige & Brown) from Amazon.co.uk. 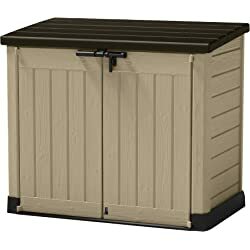 Get Keter Store It Out Ultra Resin Outdoor Garden Storage Shed (Beige & Brown) from Amazon.co.uk. Get Keter Jaxson 265L Rattan Effect Storage Box (Dark Grey) from Argos.co.uk. 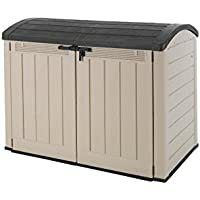 Get Keter Factor Resin Outdoor Garden Storage Shed (Beige) from Amazon.co.uk. 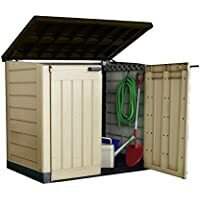 Get Keter Store It Out Max Plastic Outdoor Garden Storage Shed - Beige and Brown from Amazon.co.uk. 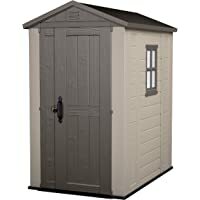 Get Keter Manor 6 x 5 ft Outdoor Garden Storage Shed - Beige from Amazon.co.uk. Get Arrow 6 x 4ft Pent Metal Garden Shed from Argos.co.uk. Get Yardmaster Metal Pent Shed - Silver from Tesco Direct. 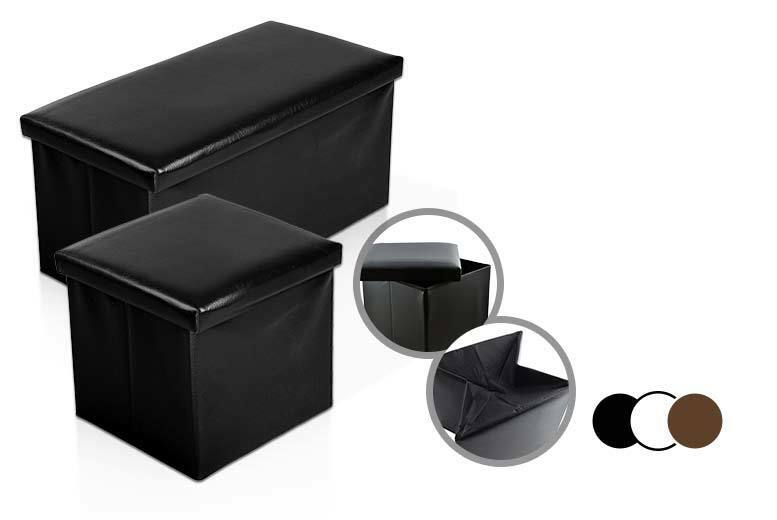 Get Ottoman Cubes and Benches - Multiple Colours from Wowcher (via e4emporium). 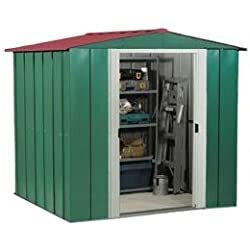 Get Arrow Apex Metal Garden Shed - 6 x 7ft from Argos.co.uk. Get Ottoman Cubes and Benches from Wowcher (via e4emporium). 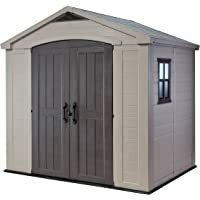 Get Homewood Double Door 8 x 6ft Apex Wooden Shed from Argos.co.uk. Get Keter Store It Out Midi Resin Outdoor Garden Storage Shed - Beige/Brown from Amazon.co.uk. Get 6 Cube Storage Unit - White from Argos.co.uk.